Aaliya elopes from home. Raman and Mani have a fight. The reason is Aaliya and Adi’s love. Aaliya runs away from home, but Raman gets Aaliya back. Raman asks Mani about his upbringing. He says Aaliya was running away with Adi to lose name so that the families gets them married. Raman tells Mani that he will not accept a characterless girl for his son. Mani loses temper. Aaliya asks Mani who is he to decide about her. Mani asks you are asking me who I am. Aaliya says I will go out and meet Adi. Raman comes and scolds Aaliya for troubling Adi. Raman asks Mani and Aaliya not to plan anything to ruin their family. He asks Mani not to use Aaliya against their personal rivalry. Adi and Ishita try to calm down Raman. Raman taunts Mani and leaves. Mani angrily slaps Aaliya many times. Shagun stops Mani. Aaliya tells Mani that he can’t stop her from meeting Adi. Shagun gets a chance to provoke Mani against Ishita. She says Ishita is influencing Adi and Aaliya, whatever happening is wrong, its totally going out of hands. 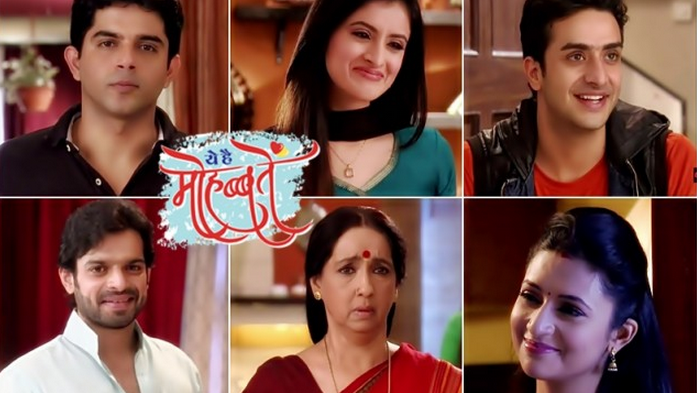 Shagun plans to secure Pihu by making Mani against Ishita. Adi and Aaliya’s love is getting sacrificed by elders’ fights. Keep reading.